The Mommy Diaries; to all you moms out there write them. 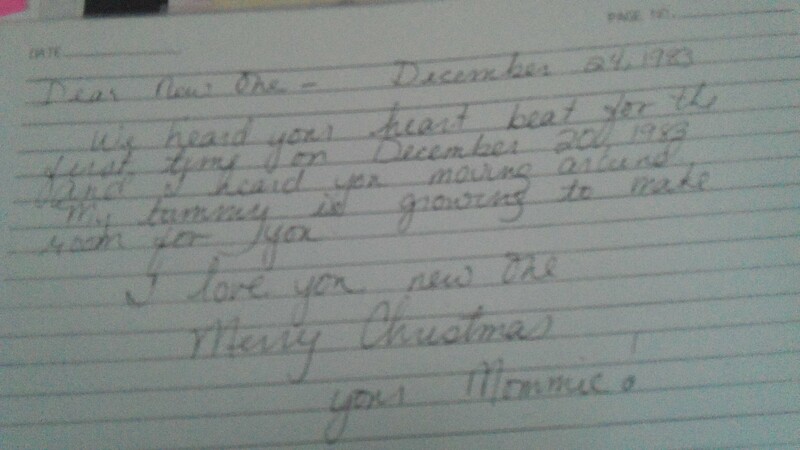 When I was a baby my mom wrote to me, in her dairy. She described how she felt, what she was excited for and what was happening. Seriously, priceless!